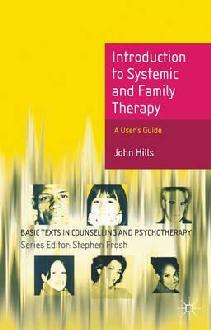 Click the following category link to view similar titles: Family Therapy. Ideas drawn from family and systemic therapy form the basis of many interventions in mental health and childcare. This brief introduction offers an ideal starting-point for non specialists and new students keen to develop their skills. Taking a step-by-step experiential approach, it explores key concepts in vivid practice context. Be the first to review “Introduction to Family and Systemic Therapy: A User’s Guide” Click here to cancel reply.